He was very kind and gracious, and it was a thrill having a conversation, even if by e-mail, with a legitimate big time, New York Times bestselling author. It was like, as I put it in one of my correspondences with him, playing catch with Robin Yount. 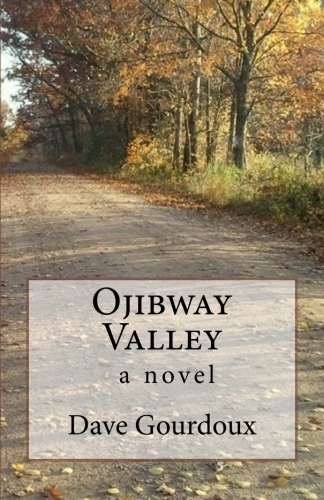 Second, I posted a while back that I was attending the Writer’s Institute conference in Madison in April, and pitching my novel Ojibway Valley to a couple of big-time, New York City literary agents. Well, the conference was great, with informative sessions that were professionally presented. Even better was the chance, for three plus days, to hang out with fellow writers. I enjoyed meeting each and every one I met, whether it was in the hallways between sessions or in the hotel bar. It was great to commiserate with so many others who have been bitten by the writing bug and are trying to get their work out there. I met people working in every conceivable genre, from romance to fantasy to hard-core pulp fiction. The common denominator shared by all was a love of the process and the need to express something about themselves, and the exhilarating and addictive joy of creating. The conference also featured the launch of the inaugural issue of the new literary journal, “The Midwest Prairie Review,” featuring a short story of mine, “A Leg Up.” I was very proud to be included in what turned out to be a high quality publication. The issue is only available in print for now; at some point, they may make it available on the web. If that happens, I’ll include the link on this site. As for the pitches with the agents, they seemed to go okay. I had only eight minutes with each agent. One asked for the entire manuscript and a detailed synopsis, the other asked for the first 50 pages. I sent them out the week of April 17th, but I’m not holding my breath. Even though I honestly think it’s a pretty good book (it has its faults, which I try not to dwell on), I’m expecting rejection. Both agents said to give them about eight weeks to respond one way or another, so we’re about half way through that period. In the meantime, I’m hard at work on my second novel, and enjoying the process of writing it immensely. My first one will probably remain unpublished, and my second one will more than likely meet the same fate, but I’m at the point that I’m okay with that. I’ve fallen in love with the process of creating longer works of fiction, and any disappointment brought about by rejection letters cannot dampen the joy of watching these little worlds I create come to life. I know that they might not be the greatest things ever written, but I also know that they are me at that moment, and I know that the more I write, the better I get. Time After Time: Written on the occasion of my wonderful daughter’s graduation from high school. She is what she’s always been: an amazing human being. July 4th: A brief excerpt that I ended up cutting from my first novel, because it just didn’t fit – but I still like this one. If Al Pacino Was My Dentist: The title says it all. Melting Diamonds and the Great Blue Bus in the Sky: I wrote this about four years ago, but I still like it. I was thrilled when Conrad Stonkey’s granddaughter wrote to me that she’d read it; that I got the characterization of Conrad right was an added bonus. In these pieces, I can find something of value, something that shows some development, some hope. Of course, there are also pieces like The Year of the Dishonest Corn Chip that reveal the arrested adolescent that I remain most of the time. To summarize, on balance, I remain unbalanced. I might say the same, sir!